After a year of focusing on the full marathon, I thought it was a good idea to pick a race that I could run for “fun.” For the location, for the scenery, for the sheer joy of running someplace new on a closed course. So I chose a race put on by “Destination Races,” the Santa Barbara Wine Country Half Marathon. It runs through the vineyards of Santa Barbara county from Santa Ynez to Solvang. Sounds perfect, right? Well, yes. I think it will live up to its claim of being a gorgeous destination race. There’s just one little problem: me. I thought I could sign up for a race for “fun” and not care about my finishing time. I thought I could be happy soaking up the views and not care whether I clocked a PR. 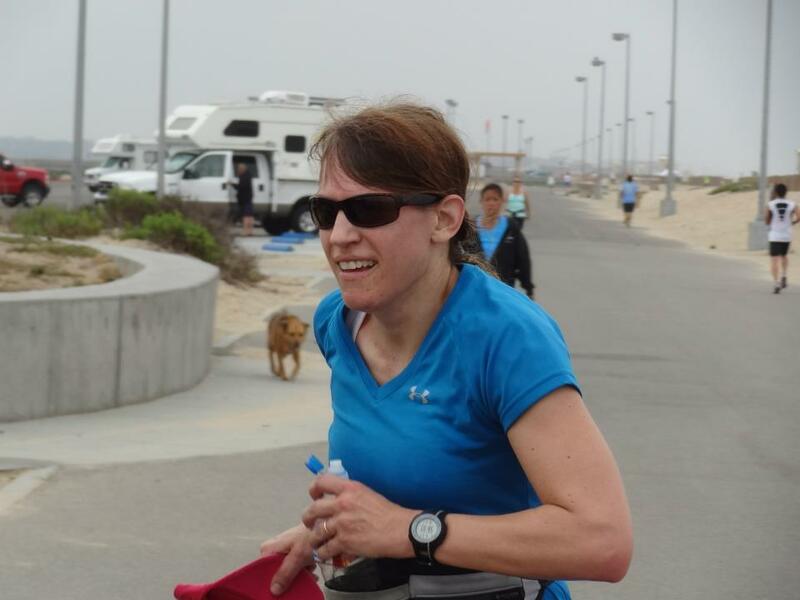 I told myself that even if I did care about my finishing time, I could look at it as a race where I cared less about the finishing time itself and more about where that time put me in relation to the rest of the field of 40-to-44-year-old-women-who-chose-a-race-that-has-a-wine-stop-on-the-course. I’m competitive, not so much against other people, but against myself. I do want to get a PR, and I do want to better myself in comparison to the field (not because I care about beating other runners, but because I revel in improving my overall performance). I enjoy training more than I enjoy racing. One might wonder why I sign up for races then, but the fact is that I like having a goal race on the calendar. I like having a training plan that builds up to a race. I like crossing off each workout on the plan. I take each race a little too seriously. I don’t race that often, so when I do race, I care a lot about how that race goes. I use each finish time to gauge how the training is going and whether or not I am improving over time. (I think these things are true about many runners, it just took me a little while to realize all this about myself). Of course not every race is going to be pancake-flat and “fast.” And the hills are what make for some of the best views along this course. It’s just that if I care so much about my time, I probably shouldn’t have chosen a race with total climbing of 764 feet! I have no clue how to pace myself when the first seven miles are basically uphill and the last six miles are basically downhill. I could run by how I feel, rather than by the pace on my Garmin, but if there’s anything else I’ve learned about myself it’s that I would run a lot slower if I just ran by how I feel! I am a very poor judge of pace, going out too fast at the start and running too slow thereafter. I can run “naked” for the occasional training run but I want and need my Garmin for a race. (Just for the record, don’t think that I have ignored the course elevation profile until now. I have been hill training specifically in preparation for this course. I live in the “Heights” for goodness sake — I have run a hill or two in my day. And I have been quite dedicated to the training plan. If you look at the calendar last month, I worked out on every day but one. Some of those days were 15-25 minutes of strength training only, and were “rest days” from running or biking, but I did some form of physical activity every single day). I’ve been running and racing for three years now. During that time, I have only run two official half marathons, my first ever big race, the 2012 OC Half in 1:55:10 (smashing my goal of a sub-2 half), and a training run/race for a full marathon, the 2013 Spring Blast Half Marathon in 1:53:34. 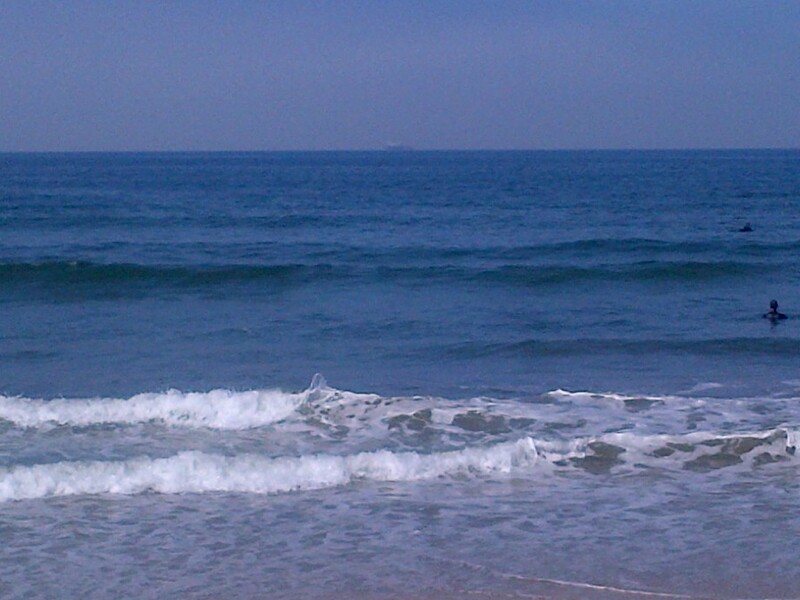 I ran the first half of the 2013 Mountains2Beach full marathon in an unofficial time of 1:51:01. I believe I am capable of a time in the 1:4x range, given the right course and given the proper training and taper before the race. And I need that 1:4x as a confidence booster to prove to myself that I am capable of training for running a Boston Qualifying time in the full marathon. To BQ with a 3:44:59 in the full, the McMillan Running Calculator says I would need to hit a 1:46:54 in a half. Maybe the gorgeous views of the Santa Barbara wine country will help me fly up and down the hills to a PR, maybe not. What I need to do now is re-focus on my original goals for the race. I thought I could enjoy a race for the scenery. I think I can! I thought I could set aside the goal of a PR to focus on doing my best in comparison to the field. I think I can! Do you ever run a race just for fun? Just this past weekend I ran the iCureMelanoma 5K with my 9-year-old, and I have to say it was a lot of fun to run with her and not worry about my own race time. But unless I’m running with my kids, I run for the “fun” of pushing myself to a personal best. Overall I’m happy with how it went. In analyzing these splits, I can tell that wearing a GPS watch helps me a lot. If I don’t wear one and don’t pay attention to my average pace for the current mile, I go out way too fast in the beginning of the race when I feel fantastic, and I don’t push hard enough when I start to lose steam toward the end. For the half marathon, knowing my mile splits helped me keep more of an even pace. In fact, when I checked to see if I negative split the run, I found I came in at nearly even splits, taking just 15 seconds more to run the second half of the race than the first. You can tell by the mile splits above that I felt really good through about mile 9, then started to lose steam at mile 10 as I was going up the slight incline, then picked up speed on the way back down for mile 11, slogged through mile 12 at about 15 seconds behind the goal pace, then gave it my all for mile 13 at 6 seconds ahead of pace, and sprinted to the finish at 40 seconds ahead of goal pace. Don’t get me wrong. I don’t obsess over my race splits or beat myself up over what I could have or should have done. It’s simply interesting to look back over it and see how the splits compare to how I felt during the race. Do you wear a GPS watch for training runs and races? I love my Garmin and I wear it most of the time, but I make sure to take it off occasionally and just run naked. Just a quick post to shout from the rooftops that today’s half marathon went well for me! 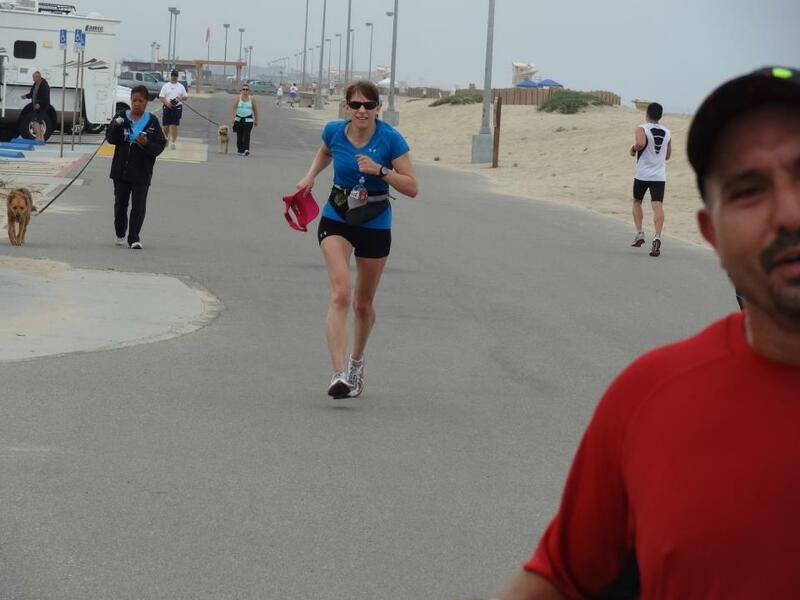 I came in at 1:53:34, which is a PR by 1:36 over my OC Half Marathon time one year ago. It turned out to be a good decision to run the Spring Blast Half Marathon as a training run. One red-faced but happy finisher! 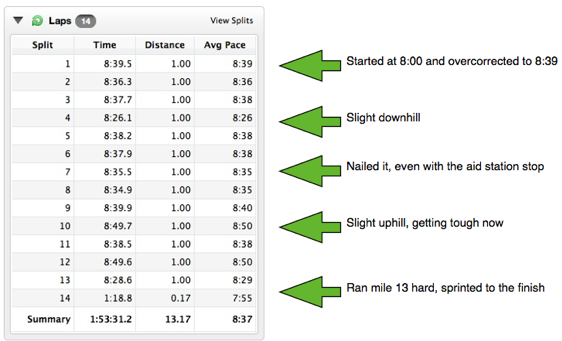 The target training pace was 8:35 (marathon pace) and I came close to that with an average of 8:40. I can tell you there’s no way I would have run that fast if I had not been racing. I feel good and am resting up now but will post a full recap and review sometime soon! Shake off the cobwebs and get you ready for the big race. 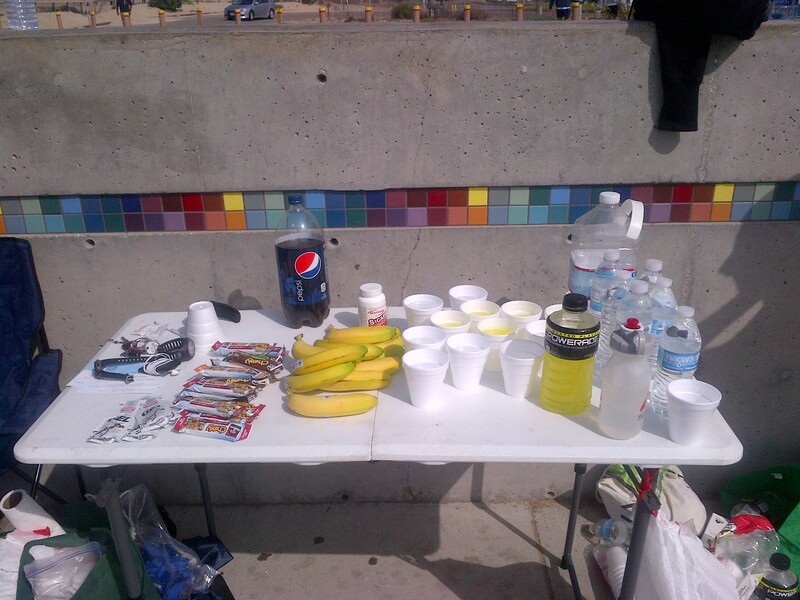 Allow you to practice your race day preparation: carb-loading, breakfast before the race, clothing, gear and fuel. Boost your confidence if you do relatively well. Show you where you can improve from your mistakes in the “B” race so you don’t repeat them on “A” race day. The trick is to choose your “B” race wisely. Chose a race that is as close to the planned training run distance as possible. You might think you’ll run a 10K and tack on an extra 3 miles to get your 9 mile training run in, but it’s not easy to do. I’ve done that once after the La Habra 10K and it was not easy, nor was it exactly wise to race my hardest then slog through three more slow miles just to get the mileage in. I didn’t injure myself but I’m not sure I did myself any favors either. That said, I still don’t regret it. Find a race that mimics the “A” race course, if possible. 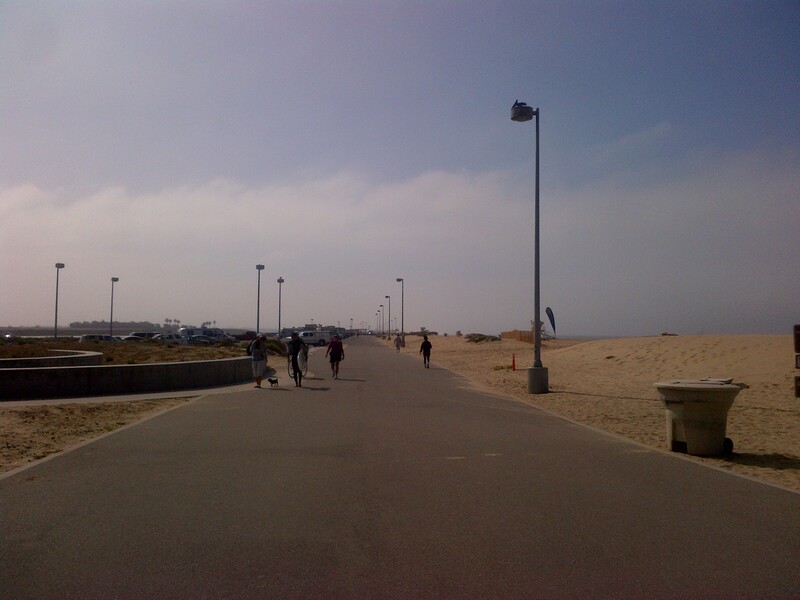 The last 6 miles of the Mountains 2 Beach Marathon run along the beach boardwalk in Ventura. 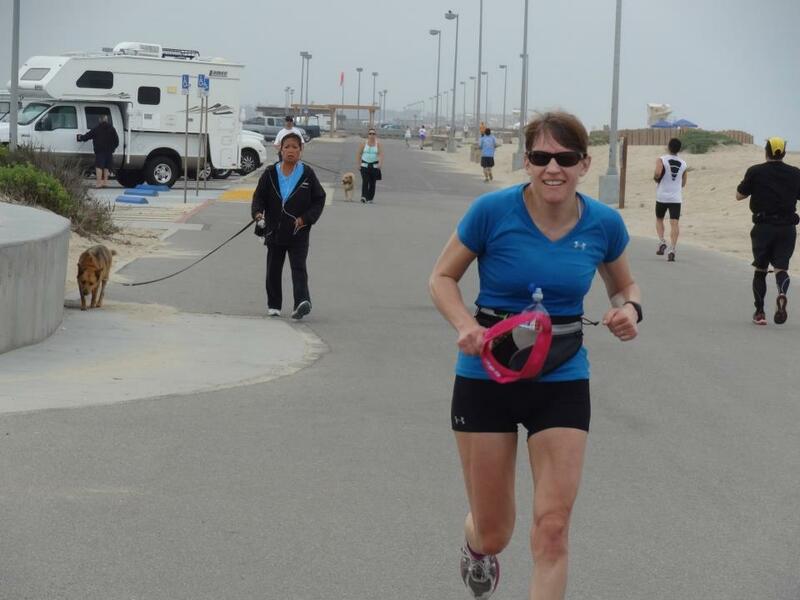 For my “B” race this weekend, I’ve chosen to run the Spring Blast Half Marathon along the beach boardwalk in Huntington Beach. You better believe I’ll be using the opportunity to visualize those last six miles along the beach as I run Saturday’s race. Don’t go for something new. It’s a bad idea to pick a trail race, a mud run, or an obstacle run if you’re training for a road race. Only the opposite might be true — I imagine it would be fine to run a “B” road race if you’re training for a trail race, although it would be a shame to miss an opportunity to practice racing on the trails before the big day. 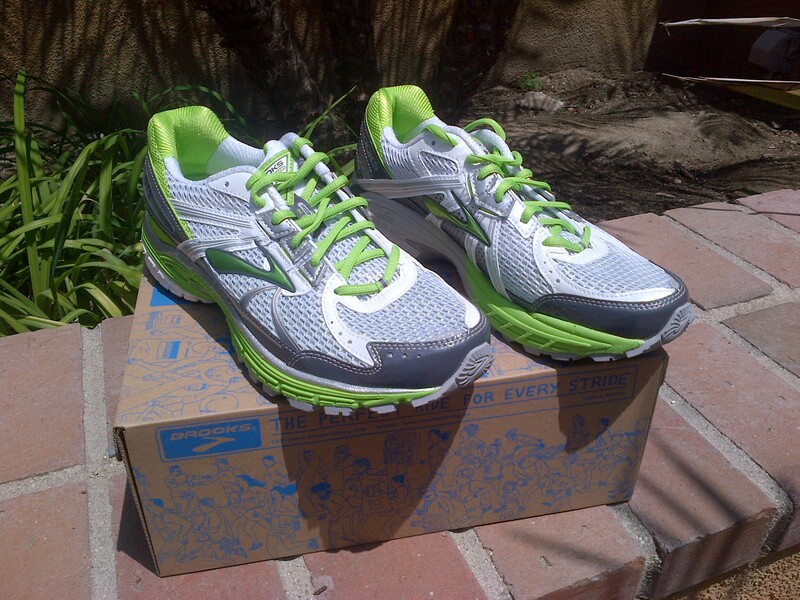 Wouldn’t the green be perfect for a “Spring Blast” half marathon?! Still, I refuse to be temped. What about you? 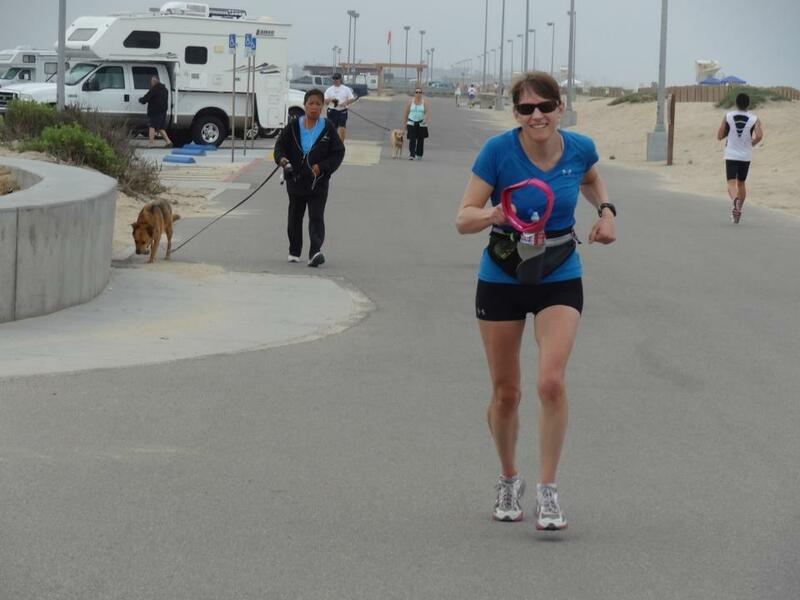 Do you incorporate a “B” race into your training for a longer distance race? I have even been known to throw in a triathlon or two into my training for a full marathon.